We believe that EVERY individual embodies greatness and we provide the tools and resources that allow our players to reach their HIGHEST potential. While playing overseas in Germany, his rookie season, Tony decided to start a YouTube Channel to show the players he trained back home which drills to do when he was out of the country. Shortly after, players all over the world found Pro Training Basketball on YouTube and started using those drills to improve their game as well. Seeing how many players he could potentially impact, Tony decided to take everything he’s learned in his 20+ year career and share it with the world through Pro Training Basketball. Before Tony started playing professional basketball overseas, he teamed up with Pro Training Basketball Coach, Will Regan at the University at Buffalo for two seasons. At UB, he was the team captain his Junior and Senior year. During his Senior season, he averaged 11.3 points, 3.6 assists, and 3.1 rebounds. Tony also set a school record for the highest career free throw percentage at 85.6%. As a four year starter on varsity at Palm Beach Gardens High School, Tony played for his father, Tony Watson. His best season individually was his junior year; averaging 24.3 points, 7.1 rebounds, and 9.2 assists. He also collected a number of accolades as well: 4x All-Conference, 3x 1st Team All-Area, and 2x 2nd Team All-State. Rod earned a four year scholarship to the University at Buffalo. As a three year starter, he was able to fine-tune his skills and PROfect his own game. After college, he went on to play professionally overseas for four years. Which included: one year in France Pro A and Pro B, one year in Germany and two years in England for the Worcester Wolves. After his freshman and sophomore year at the University at Buffalo, Rod underwent two back surgeries. These injuries forever shaped his life and taught him the importance of taking care of his body. Rod was able to recognize the value in his injury, which ultimately guided him toward his chosen career path. Once his basketball career came to an end, Rod knew exactly what it was that he wanted to do. He decided to enroll in the National Academy of Sports Medicine training program where he would later become a Certified Personal Trainer. Before moving back to Buffalo in 2013, Rod used his NASM certification to work at XSport Fitness, one of the leading training facilities in the Chicago Land area. From there it wasn’t long before he had the opportunity to move back to Buffalo. Rod worked as a Strength and Conditioning Performance Coach at Proformance Sports Training for four years. While there, he worked with hundreds of athletes and fitness enthusiast alike while building his personal training style. 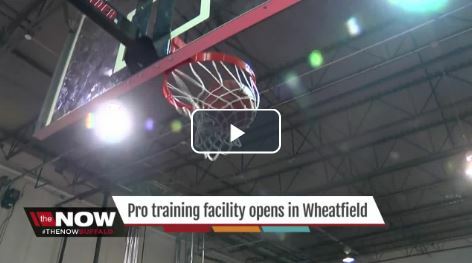 With the knowledge and experience Rod has gained from training, he strategically partnered with Tony Watson of Pro Training Basketball to create the Pro Brand. The Pro Brand offers Strength Training and Conditioning for athletes of all sports, as well as anyone looking to get in shape and stay fit. No matter your goal, we have something to help you PROfect Yourself. Erik is a Certified Strength and Conditioning Specialist (National Strength & Conditioning Association) and Buffalo native. He grew up playing sports his whole childhood and graduated from City Honors High School. After high school, Erik went on to receive his Bachelor’s degree in Exercise Science from D’Youville College (2013) and play on the Men’s Basketball Team (NCAA DIII). He spent the next 3 years working as a Sports Performance Coach in (Florida) and Chicago (Illinois). During that time he had the opportunity to train professional athletes, college (NCAA DI, DII, DIII), high school and youth. Since moving back to Buffalo in 2017, Erik’s mission is to provide the elite training for athletes of his community that reduces injury and increases performance. Coach Nick has been coaching basketball the past 7 years. Nick started at the Niagara Falls Boys and Girls Club and worked his way onto Niagara Catholic High School’s staff where he spent the past 5 years. Nick was in charge of player development, recruiting, and general coaching. Nick’s last year with the program ended with Niagara Catholic winning it’s first Manhattan Cup since the 1960’s and being the runner up in the state title game. Currently Nick is the assistant coach at Niagara County Community College. A program that went to the JUCO National Tournament for the 2nd time out of the past 3 years and moves players on to play at the next level every year. Nick’s responsibilities entail recruitment, skill development, and general coaching. Coach Nick was a multi sport athlete in high school where he played 4 years of Varsity football and basketball. Nick was an all catholic performer who opted to enlist in the Army instead of pursuing a collegiate career. In the Army, Nick was a medic. Upon coming home Nick graduated with a Bachelor’s Degree from Buffalo State College and has a minor in Coaching. Coach Nick has a love for the game that stretches beyond the court. Nick has been a staple in the community giving lessons and mentoring several youth whose skill level range from college to high school. Nick is a true student of the game who pays attention to detail and is always pursuing knowledge. Nick’s dream is to become a Division 1 coach one day and to be regarded as one of the best basketball minds in the area.